Since its inception in 2012, Argot’s mission statement has remained the same: to promote, showcase, and support American electronic music. 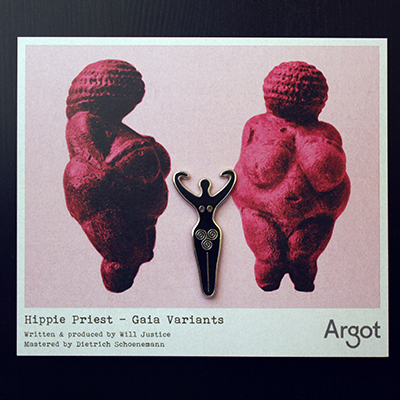 Four years and numerous 12" singles later, Argot proudly presents Hippie Priest’s Gaia Variants, the first full-length album released on the label. The debut work of 21-year-old Illinoisan Will Justice, Gaia Variants is a 50 minute long psychedelic journey that pairs cosmic textures and moods with a warm dancefloor sensibility.